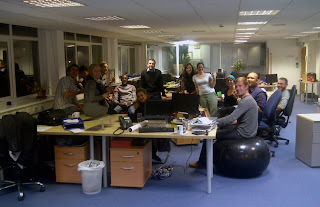 To cater for our ever increasing members of staff, TranslateMedia has just relocated to a swanky, third-floor office. Although we are still situated in the same building, our new vantage point means that we get a quite lovely view of the neighbouring Shepherd’s Bush area. Last Friday we started the laborious process of moving all of our computers, laptops, files, books, and useless trinkets to our new home. It was a very busy day, and I was quite glad to relax after a day of manual labour. 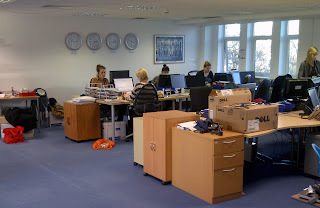 While our last office was by no means cramped, our new office takes up a whole floor. This gives us more room to work, and eventually expand further. This Monday was our first day in our new space. 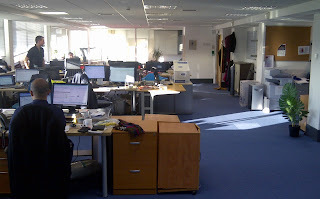 As creatures of habit, some of us even went to the old office to find an empty room, before remembering that TranslateMedia was now an extra couple of floors up. 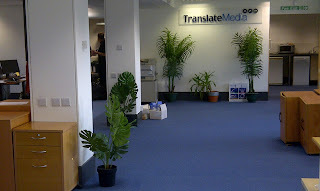 This relocation has marked a dramatic change for TranslateMedia. Although the office is new, it is already starting to feel like home, and I for one am looking forward to the future success that we’ll see here!